Are you looking for a fun day out? 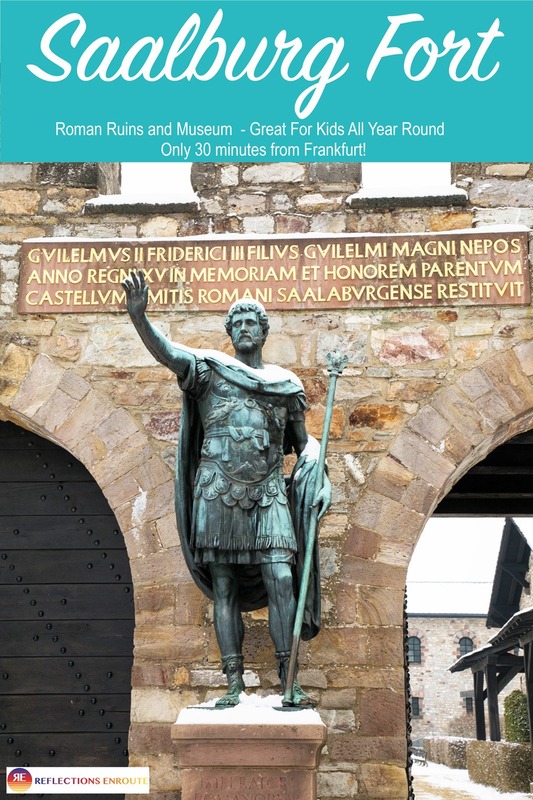 One of our favorite places to just romp, have fun, and throw in a little history-learning is Saalburg Roman Fort. 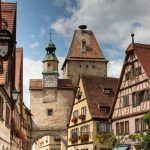 A quick 30 minutes from the center of Frankfurt, it’s a great day trip with or without kids, for people living in Germany or just traveling around the country, visiting and looking to get out of the city and up into the beautiful Taunus mountains. Porta Praetoria with Antonius Pius greeting you as you enter. Pin Saalburg Fort so you don’t forget to add it to your Germany trip! After leaving the hustle and bustle of Frankfurt, Germany and arriving at the Saalburg fort, you immediately can take a deep breath of fresh air. There’s nothing stressful about this trip. 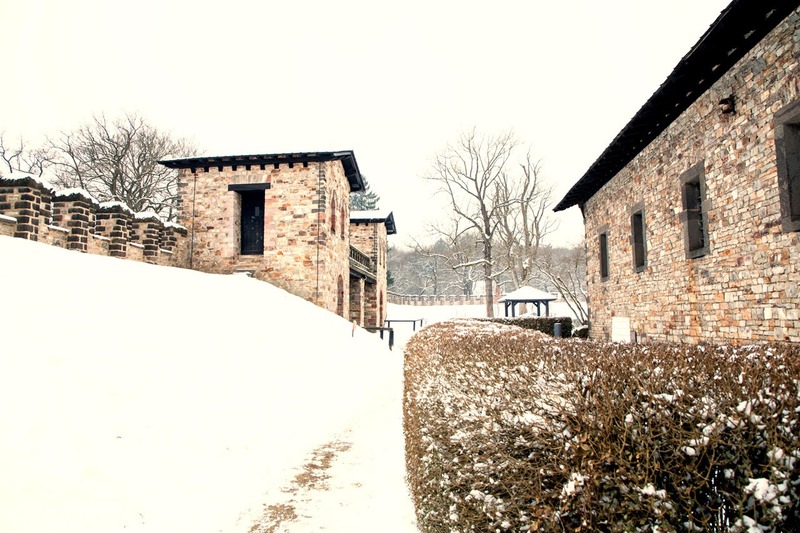 Set in the rolling hills around Bad Homburg, the fortress is surrounded by a peaceful beech tree forest. The first thing you come to is the Saalburg Shop. 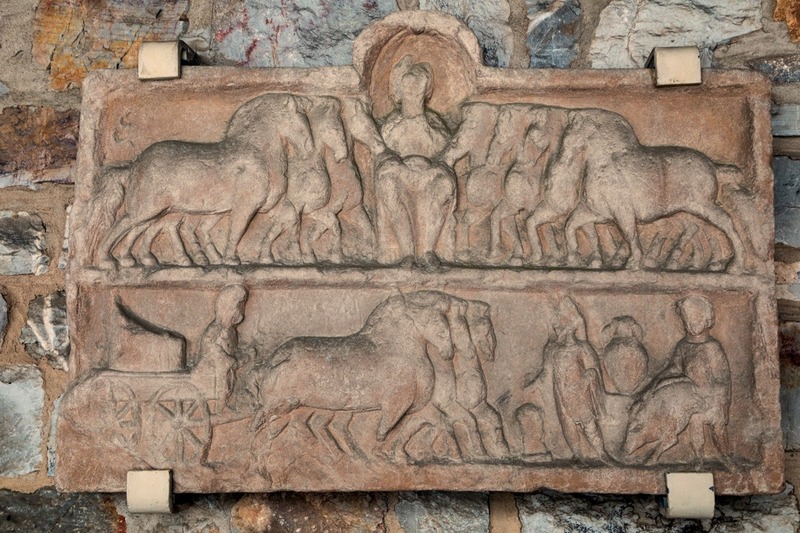 It’s hard not to peak at all the Roman toys and books that you can take home to enjoy as you are buying your tickets, but you just have to remind yourself that you’ll have a better idea what you want on the way out. With your tickets and pamphlet in hand, you meander up the long walk to the entrance-way, or the Porta Praetoria, with a statue of Antonius Pius greeting everyone who enters. It’s already apparent that this is something special. 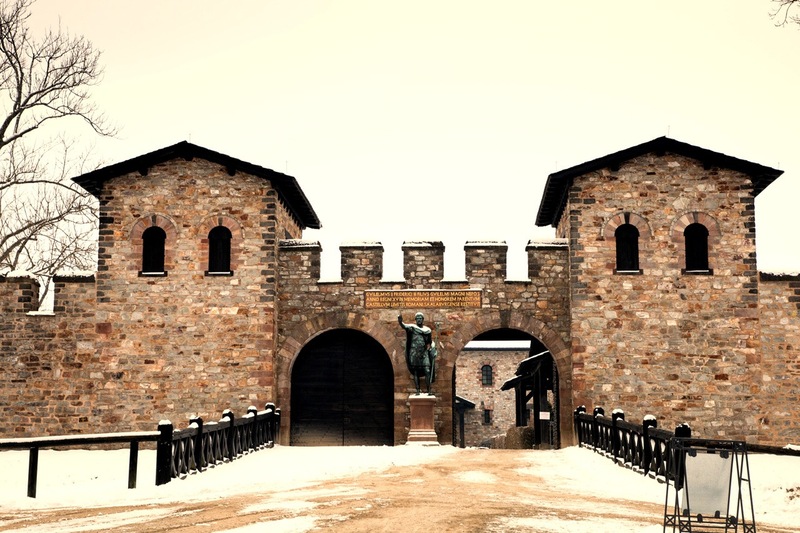 There is plenty to see and do inside the fortress walls. 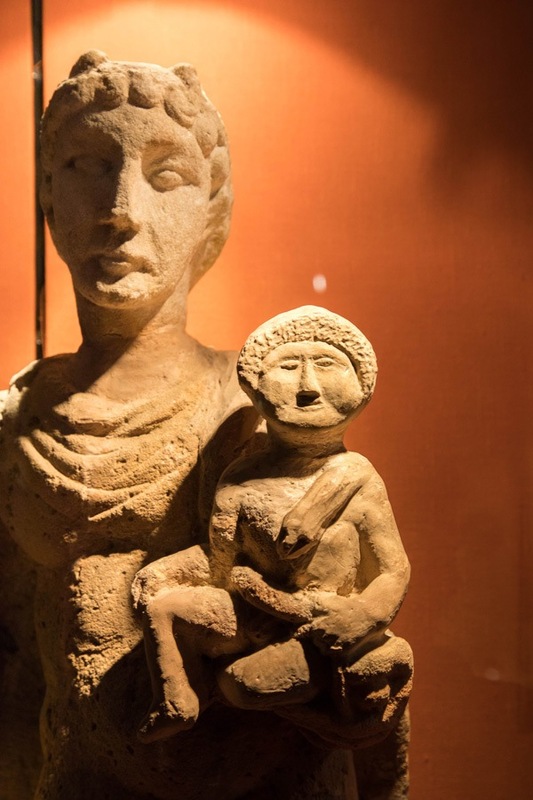 The Saalburg Museum is full of artifacts and historical items that will not only teach you some Roman history but also make you smile. The museum is housed in a couple of different buildings, such as the Roman granary, barracks, and the armory and there are mock scenes depicted throughout to illustrate how the soldiers lived. One of my favorites was the stark wooden barracks across from the Roman restaurant. Of course, Jim was in love with the Roman weaponry display which included a variety of small catapults, and ballistas. I think he could have spent an hour in that room alone! 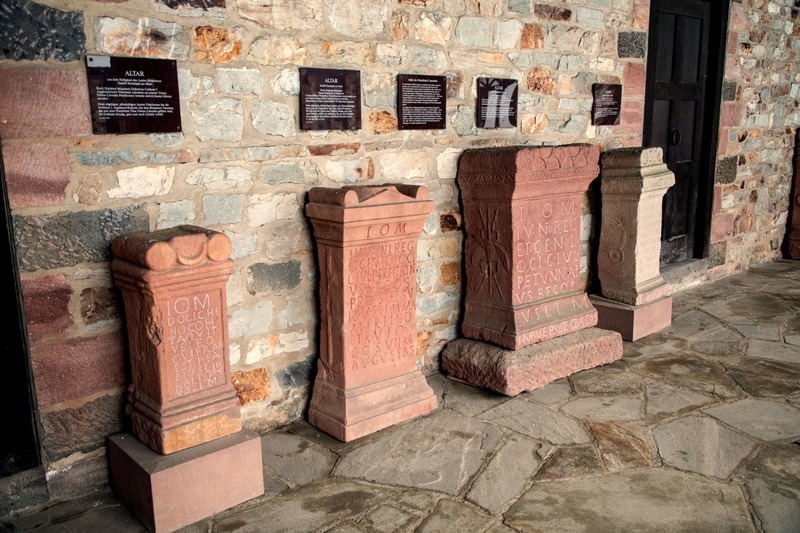 Saalburg, a Roman outpost, was first established in the first century. It was built to protect the area from Germanic tribes and halt their southward advancement. The fortress was a decent size for the time with probably about 600 soldiers barracked here. With camp followers, cooks, and tradesmen, the fort may have had a population of up to 2000 people. Located in the Taunus hills, it’s just one part of the German Limes or line or border protecting Germanicus Inferior and Superior. The Roman Limes protected the longest stretch of the Roman empire’s border in Europe, and it was inscribed on the UNESCO World Heritage List in 2005, along with Hadrian’s Wall and other Roman ruins dotted all over Europe. There are plenty of Roman sites all over the world, but this is the only Roman fort to be reconstructed in full. Kaiser Wilhelm the Second had it reconstructed around 1900, and it truly is a place of learning and history. Just to walk around the grounds, taking in the museum exhibits, and have lunch, will take even a hasty visitor a minimum of two hours. But you really should take your time. There’s so much to read and do on a regular day, and sometimes the museum puts on special days where families are invited to participate in games and crafts. Most people will spend a half day here. Be sure to check the website’s schedule for dates and times for special events. 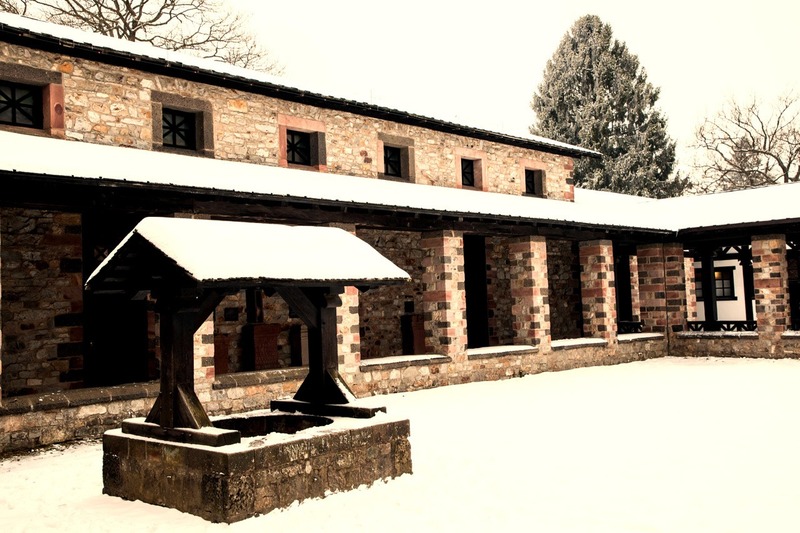 One of the best things about the Saalburg fort is that you can go at any time of year. 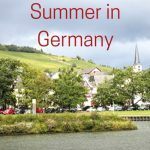 In summer, the grounds are green and the hiking paths, including the popular trail called the Rundweg Saalburg, is a must-do, and it only takes about 45 minutes to an hour. Also, in the summer there are many programs and special days where museum supporters dress up as Roman soldiers and camp followers to give you a glimpse into what life was like a few thousand years ago. Power Tip: Find out more things to do not far from Frankurt. Saalburg is located off of one of the two major autobahns servicing Frankfurt, the north-south artery A5. Take exit 16 and follow the signs to the fortress on Route 456. First, from Frankfurt take S-Bahn 5 towards Bad Homburg/Friedrichsdorf, and get off at the Bad Homburg Bahnhof. Second, take Bus 5 which will deliver you to the fort several times each day. Adults 7.00 Euros, Children 5.00 Euros unless they are under 6 years of age. The Saalburg shop and museum only take cash. Summer – March through October, the park is open every day from 9:00 to 6:00 P.M. In winter (November to March) , they are closed on Mondays and the hours are only from 9:00 to 4:00 PM. One of our favorite family owned and operated hotels in the area is the Hotel Limes, about ten minutes further up the 456 in Wehrheim. Here you’ll find comfortable, impeccably clean rooms, a delicious breakfast, and free parking. On the park grounds, there is a small restaurant called Museum Cafe Taberna. 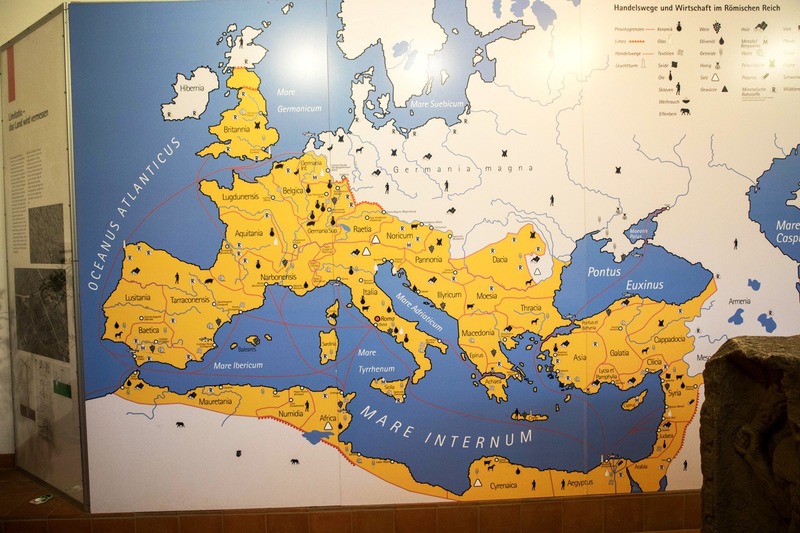 It’s a great stop, because they serve recipes from Roman times as well as German staples such as schnitzel and fries. We would recommend trying the meat plate. 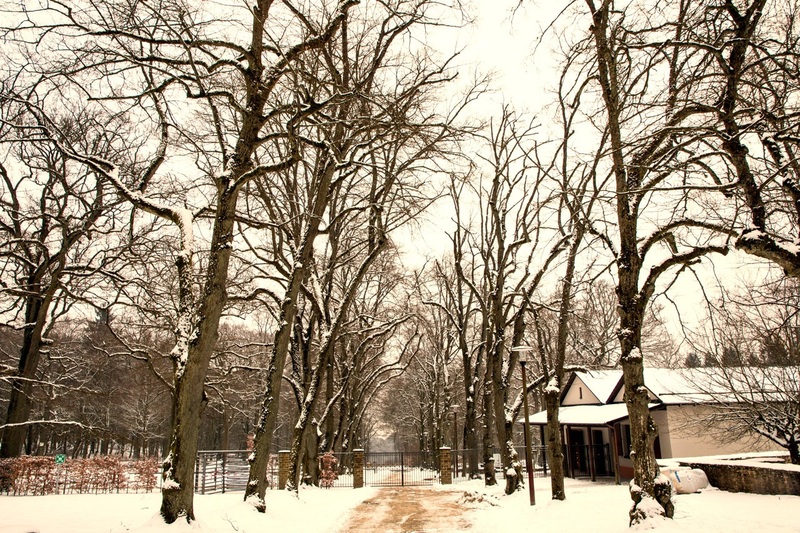 It’s simple, yet provides another glance into life at the fort. The kids will love it. 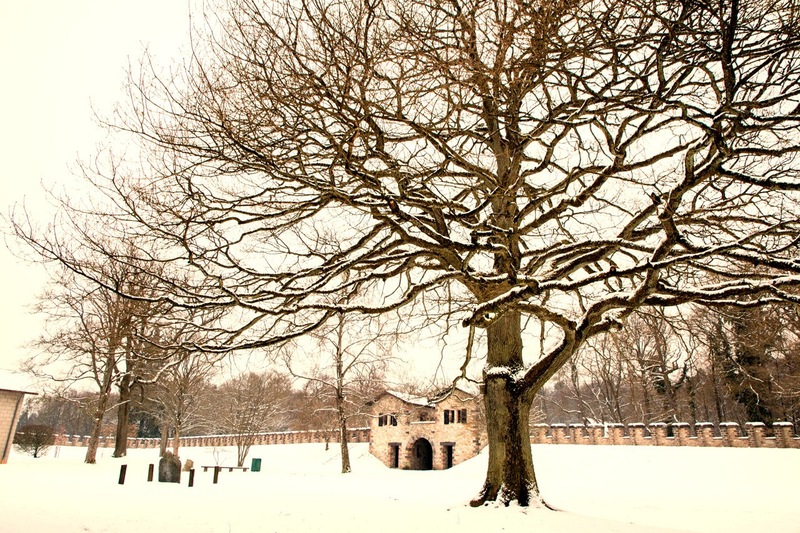 You can also bring a picnic lunch and enjoy the fortress grounds; there is plenty of room for running around or relaxing under the huge trees. Do you love Roman history? 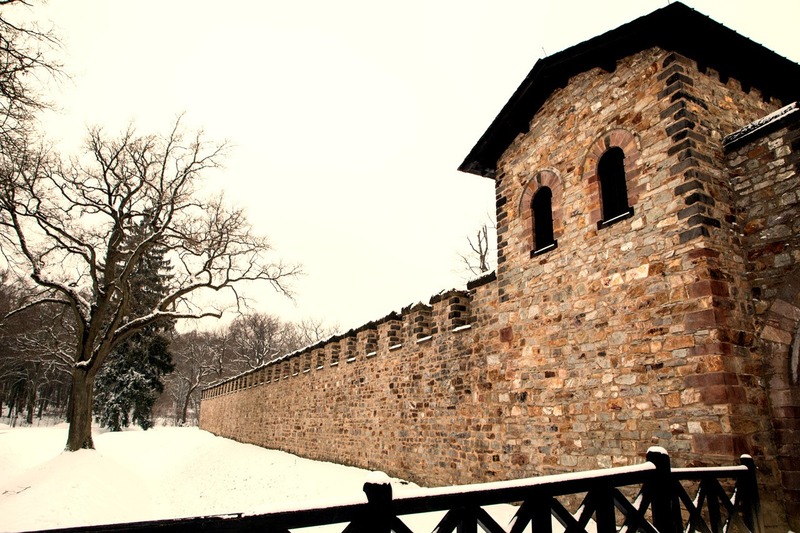 Have you been to the Saalburg fort? Do you have any hints for tips to add?